2. X can do a piece of work in 40 days. He works at it for 8 days and then Y finished it in 16 days. How long will they together take to complete the work? 4. 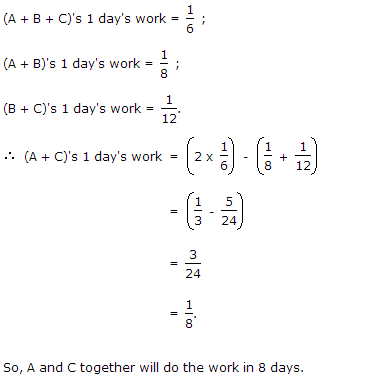 A and B can do a piece of work in 30 days, while B and C can do the same work in 24 days and C and A in 20 days. They all work together for 10 days when B and C leave. How many days more will A take to finish the work? 5. Twenty women can do a work in sixteen days. 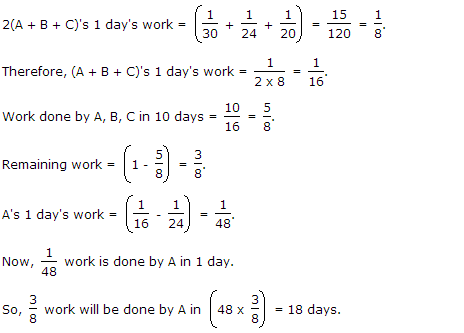 Sixteen men can complete the same work in fifteen days. What is the ratio between the capacity of a man and a woman? 6.A is 30% more efficient than B. How much time will they, working together, take to complete a job which A alone could have done in 23 days? 7. 4 men and 6 women can complete a work in 8 days, while 3 men and 7 women can complete it in 10 days. In how many days will 10 women complete it? 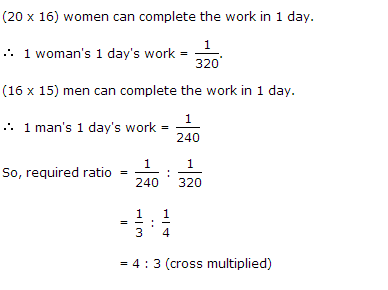 8.10 women can complete a work in 7 days and 10 children take 14 days to complete the work. 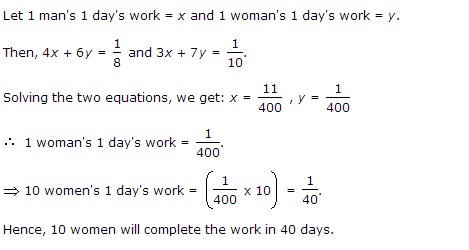 How many days will 5 women and 10 children take to complete the work? 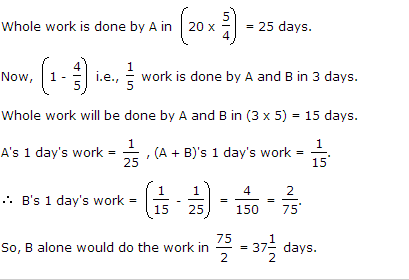 9.A does 80% of a work in 20 days. He then calls in B and they together finish the remaining work in 3 days. 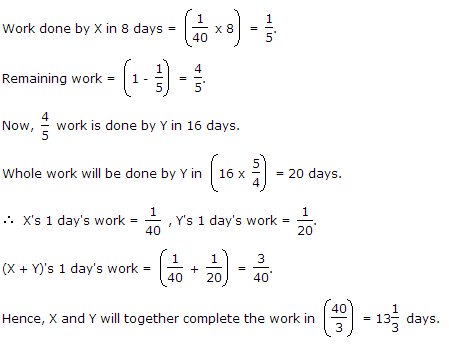 How long B alone would take to do the whole work? 10. A alone can do a piece of work in 6 days and B alone in 8 days. 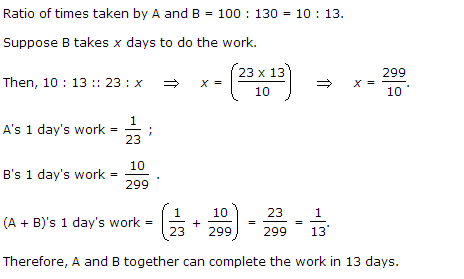 A and B undertook to do it for Rs. 3200. With the help of C, they completed the work in 3 days. How much is to be paid to C?